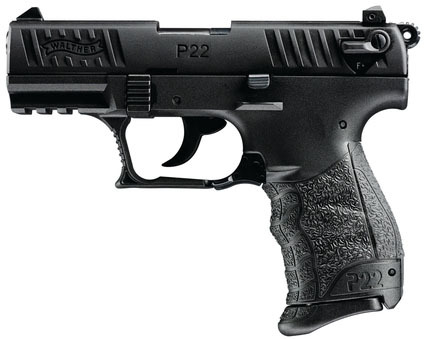 Features low profile three-dot polymer sights, loaded chamber indicator, front and rear slide serrations. External slide stop, three safeties, paddle-style ambidextrous magazine release lever. Double/single action trigger with 11 pound pull for double action and 4 pound pull for single action. Ergonomic Walther grip, checkered trigger guard and picatinny accessory rail.